(August 31, 2016) Canadian farmers who supply private trade canola exporters with raw product are breathing a bit easier today because Prime Minister Trudeau was able to leverage his and Canada’s long standing relationship with China to delay the imposition of higher cleanliness standards for canola imported into China. Given the problems of diseases in canola, including club root, Chinese concerns are certainly understandable. China has a culture which is centuries deeper than anything in the west. So it is no surprise personal and institutional relationships carry a great deal of weight. That relationship between China and Canada was greatly enhanced almost 60 years ago. In 1958 the Canadian Wheat Board defied the American food embargo of Red China and started to sell wheat to the starving, beleaguered, and war torn country. In 1961 a further three year agreement was signed, something the Chinese never forgot. 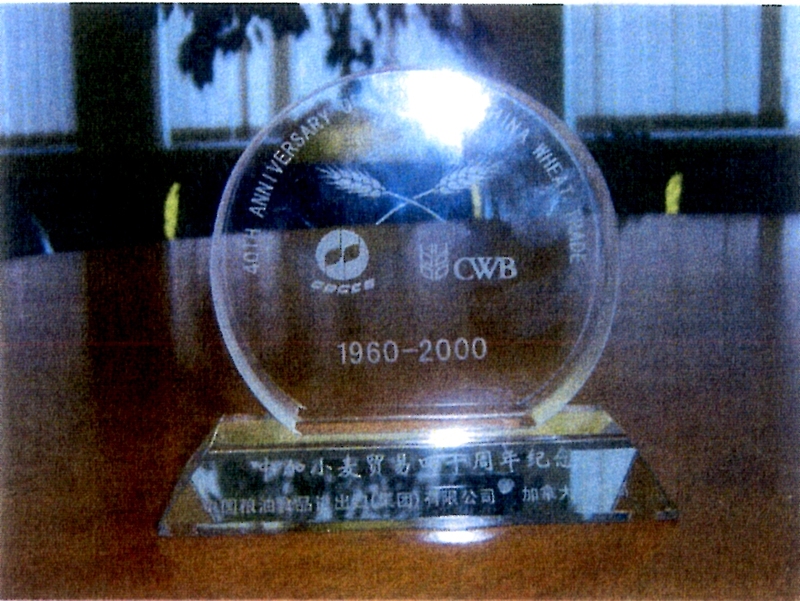 In the year 2000 the Chinese government food agency COFU presented a heartfelt gift to the CWB commemorating the 40th anniversary of the relationship. The gift apparently disappeared along with the Wheat Board library and archives vandalized by the Harper government. The Wheat Board always exported wheat and barley based on honesty and the highest cleanliness standards in the world. Canola has always been exported by the private trade which, to be polite, has a mixed reputation on both counts. It’s a good thing the Prime Minister was able to negotiate a reprieve. However trading on a personal relationship and the reputation of an institution valued by the Chinese but destroyed by the Harper Conservatives is not really a sustainable option. How soon before the private trade wrecks Canada’s reputation for supplying high quality wheat and barley, just as they have done with canola? After all the complaints on the quality front started rolling in almost immediately after the CWB was killed. As things stand now, farmers and the Government of Canada have no control over Canadian grain since it is now owned by the private trade from the farm gate onward. Even worse the Harper Conservatives’ massive omnibus budget in 2012 eliminated the Canadian Grain Commission inspectors who did “inward inspection” of grain cars arriving at port terminals crippling the only other impartial institutional over sight of grain exports. If Canadian farmers are to continue to benefit from producing high quality grain then Ottawa must rescue our niche in the international grain market by reversing the mistakes of the Harper era like killing the farmer-controlled Wheat Board and crippling the Canadian Grain Commission. Given the wreck in the canola market and looming problems in the other cereals and oil seeds markets, a Canadian Grains Board would be an even better idea to make our agricultural industry run smoothly and assure our customers they are getting quality assured product.